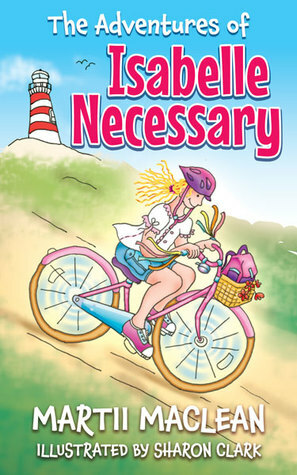 Isabelle Necessary lives with her parents in a big house in Mermaid Cove. But they are important and are always away on adventures finding things for museums. When they are gone, Isabella stays with her Great Aunt at the Saggy Beach Retirement Village. Isabelle has some great friends and many adventures in this book. This is a wonderful chapter book for kids. Isabella seems to be Invisible Isabella to her parents especially when they are planning on leaving for their own adventure. But she loves her Great Aunt, the retirement community, and how the only real rule she has is to be home before the street lights come on. I love the little adventures Isabelle has and how wonderful her friends are. I find it sad how her parents seem to be so wrapped up in their lives that they are not really a part of her life. But Isabella doesn’t let this slow her down. I really like the illustrations that accompany the stories. I can’t wait to read more of her adventures.